Kickstarter Webinar Next Wednesday, 10/2 at 6 p.m.
Do you have a storytelling idea or project that could use some monetary support? Crowdfunding portals like Kickstarter are a way to get contributions from people who want to see your project happen. Just ask sophomore Luke Rafferty, who used Kickstarter in the spring to raise over $6,300 to launch The Timeless Artisans. There’s a lot more to success than simply putting up a snappy pitch. You may be wondering: what kinds of pitch videos work best? How should you set up your rewards? How do you budget your campaign so that you can launch your site or service, and also deliver the rewards you promise? Get answers to these questions and more in a webinar from Kickstarter’s Stephanie Pereira on Wednesday, October at 2 at 6 p.m. You’re invited to come to an in-person watching party with FREE PIZZA. Please RSVP to Dan Pacheco at drpachec@syr.edu if you plan to come so we can order enough food. Can’t make it in person? You can also watch online from any computer via YouTube. Just RSVP through EventBrite for free and we’ll send you a link shortly before the event begins. If you’re attending from afar, please tweet your questions to @JournovationSU during the session. We’ll be monitoring our Twitter feed during that time and will pose as many questions as possible to Stephanie during the webinar. Dan Pacheco, Newhouse’s Peter A. Horvitz Endowed Chair in Journalism Innovation, is the author of “What Could Jeff Bezos Want With the Washington Post?” The column, published on August 6, at PBS Idea Lab, discusses possible factors behind the purchase of the paper by Bezos, founder and CEO of Amazon.com. “…the reality is that even Jeff Bezos probably doesn’t know what he’s getting into,” writes Pacheco. Hello! 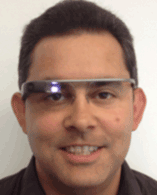 I’m Dan Pacheco, the Chair of Journalism Innovation at the S.I. Newhouse School of Public Communications. I’m starting this blog on the Journovation site to keep people at Newhouse and the greater Syracuse University community up to date on things I’m working on. I will aim to post something at least once a week. As a first post, I want to share some updates that I sent out in the Digital Edge email list, which you can join by clicking the Email List button at the top of this blog, or by clicking here. There are three new developments at the Newhouse School through my Chair that I want to share. Students, faculty and friends are invited to stop by my office in Newhouse 2, room 494, to learn more about any of these. We’ve all seen innovative digital news packages that go beyond simple text, photos and video (for example, the New York Times’ Snow Fall). Things like data visualization, mobile apps and even cutting-edge technologies like Google Glass are always pushing the envelope for journalists, and you want to have these skills in your portfolio. But to do that you often need to know a little coding, or get the interest of a programmer. How do you get past that hump? 2. Hacks & Hackers meetup at Syracuse Media Group next Wednesday, 9/4 @6 p.m.
A quiet revolution in journalism is underway in Syracuse and Central New York, and it’s coming from a surprising source. Citizen programmers (“hackers,” but the friendly kind) are creating online databases, crime maps and more to shed sunshine on important issues the community — all on their own, just for fun. They want to work with journalists to bring data and content together with code to create something even better. This group is called Hacks and Hackers, and you can get involved by going to http://meetup.com/hhsyracuse. The next meetup is at the Syracuse Media Group, home to Syracuse.com, next Wednesday September 4, 2013 at 6 p.m. This is a great chance to meet editors, reporters and technology technologists at Syracuse.com, as well as some principals at the Innovation Trail that covers technology innovation for WRVO and other area public radio stations. And most importantly, meet local hackers who want to work with you to make your stories take advantage of everything digital has to offer. Note that for this event you must RSVP through Meetup (http://bit.ly/1dLz1it) so that the group can order enough munchies and drinks. 3. Kick it Up on Kickstarter! Crowdfunding portals like Kickstarter.com are emerging as a powerful force for helping people who have ideas get them funded and launched, and that includes journalism. A few enterprising Newhouse students have already used the platform to fund their storytelling projects, like sophomore Luke Rafferty who launched The Timeless Artisans with the help of 112 backers who collectively gave $6,321. Monetary awards of up to $1,500 for students who post Kickstarter projects this fall under the theme of “Non-Fiction Storytelling or Services” and attract high numbers of backers. 4. The Digital Petting Zoo Opens Soon! Last but not least, we’ll soon be opening an indoor zoo! If you’re allergic to furry animals, don’t worry. These animals are all digital, and they want you to try them out, play around and otherwise pet them. 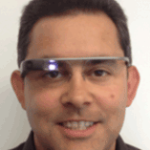 This fall we have Google Glass, the LeapMotion device, camera drones and some other technologies to showcase. Petting Zoo hours will be posted on the Journovation.syr.edu web site so check back there for more details soon. It’s gearing up to be a fun semester. Thanks for your interest in the Digital Edge! As digital technology becomes increasingly important to media and journalism, so does knowing how to work with programmers and perform simple coding. You can only learn these skills by doing them, but where does a journalist or storyteller start? 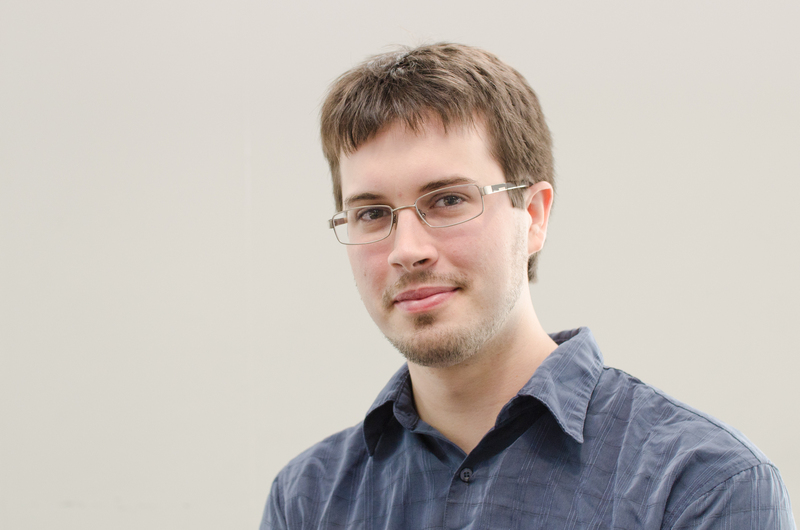 Programmer-journalist Dan Schultz, who holds a degree from the MIT Media Lab, will help answer that question when he joins the Newhouse School as its first Visiting Programmer in Residence. Schultz, who spoke at Newhouse through the Digtial Edge Journalism series in the spring, comes straight from the Boston Globe, where he spent a year as a Knight-Mozilla OpenNews fellow. He is known for work on innovative projects such as Truth Goggles, which identifies and checks facts in news stories in real time, and NewsJack, which lets people rewrite and publish headlines as a form of digital satire. At The Boston Globe, Schultz worked with the Globe Labs to employ new innovative ways to tell stories that go beyond text, photos and video. In A Night in the Life of a Cabbie, he connected detailed transcripts of a cab driver’s evening shift to a maps that shows the driver’s pay and expenses through the night. The interactive shows how difficult it is for cab drivers to make money when only a few companies can issue the expensive “medallions” that cab drivers must purchase in order to legally provide service. Interative features like this often require journalists to work closely with software developers, and even know a little code themselves. Programmers in residence like Schultz will give Newhouse students that critical experience. While Schultz’s background is in journalism and civic media, he will work with students from all majors. Newhouse Chair of Journalism Innovation Dan Pacheco will serve as Schultz’s host in the Newspaper and Online Journalism department. Students or faculty who are interested in working with Schultz should fill out this online form, or contact Pacheco at drpachec@syr.edu. Attention, Newhouse students! Do you have a storytelling idea or project that could use some monetary support? Are you using Kickstarter or another similar service to crowdfund but would like some guidance? In-person and online training on how to run an effective Kickstarter campaign, which will be held on Tuesday, November 19, at 6 p.m. in the Joyce Hergenhan Auditorium in Newhouse 3. Monetary awards of up to $1,500 for students who post Kickstarter projects this fall under the theme of “Non-Fiction Storytelling or Services” and attract high numbers of backers. Funding is based on the number of backers—projects with 50 or more backers will receive $150; projects with 100 or more backers will receive $450; and those with 150 or more backers will receive $900. Students receive 100 percent of this funding. To apply, submit your project via the online form at http://journovation.syr.edu/kick-it-up/ any time between November 20 and December 9. Applications during this round must be non-fiction storytelling projects or services—anything factual in nature with an intent to inform rather than to persuade or entertain—from currently enrolled Newhouse students. Ten projects will be chosen in the first round, and select projects will also be featured on a Newhouse Kickstarter page and promoted by the school. Newhouse will also feature projects from Newhouse students whose projects go beyond the “non-fiction” definition, as well as from alumni who have graduated within the last five years. These kinds of projects are not directly eligible for matching funds, but if a current Newhouse student is working on them, he or she may enter the project. Any Newhouse student or alumnus interested in being featured is invited to join Newhouse’s network on Kickstarter by following this link: http://kck.st/14vpggl. “Kick it Up!” is sponsored by Dan Pacheco, Newhouse’s Peter A. Horvitz Endowed Chair of Journalism Innovation, with additional financial support from Newhouse Dean Lorraine Branham and Syracuse University Provost Eric Spina. Contact Pacheco with questions at drpachec@syr.edu. I just returned from a fast-paced tour of startups and journalists in New York City that are each shaking up the world of journalism in their own ways. I live-tweeted whenever possible using the hashtag #JournovationTour, and also took notes as I went along. This is a report from that trip. Just for fun I wrote this in Spundge Pro, one of the startups I met along the way that I’m now evaluating for future use by students at the S.I Newhouse school. I just finished my first year as the Newhouse Chair of Journalism Innovation and will be co-teaching the class that feeds into the award-winning student-produced Newshouse site started by Jon Glass. The New York Times, with the team that created Snow Fall. Marquee, a spunky little startup that powers the storytelling engine for Narrative.ly, now on Time’s 50 Best Websites list. Twitter, which recently hired Mark S. Luckie as an evangelist and trainer of journalists via Twitterfornews. Kickstarter, which as become a new way for journalists and media projects to get new projects and even companies funded. Spundge, a hybrid blog search, RSS reader, social media curator and publishing tool. I realized going in that this was a broad and varied group of subjects, but that was also the point. I wanted to talk to a variety of people in organizations big and small to show students of journalism how their field is being shaped from all corners — not just the legacy organizations, but also from startups. And if my small sampling from New York City is any indication, there’s plenty of change, disruption and opportunity ahead for journalists. @pachecod Thinking back, there was a common theme to the tech cos: Each said they wanted to get out of the way of great content, creators. @pachecod Thinking back, there was a common theme to the tech cos: Each said they wanted to get out of the way of great content, creators. Journovation Chair Dan Pacheco in front of the unmarked Kickstarter office door. I will agree with that, and also add that journalists in larger organizations are trying to get out of each others’ way, and to remove artificial barriers to collaboration. Over the coming days I will be publishing each stop as its own article, then link them all together as one package. 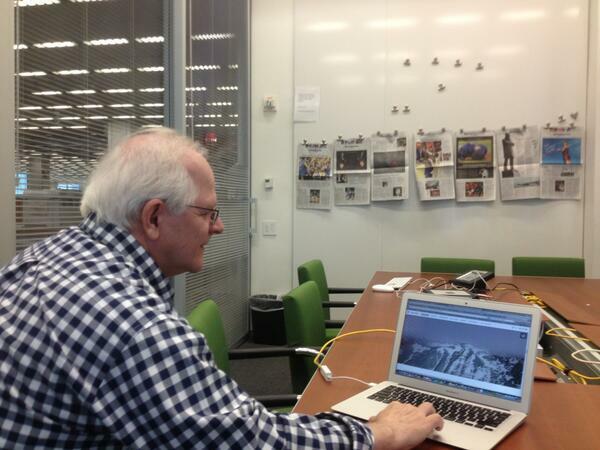 Start by reading my report from stop 1 at The New York Times. Looking ahead, this is what I hope to be just the first part of a multi-city tour that I take through this summer, with other locations including Washington, D.C. and possibly Chicago. Want to meet me on the next leg of the tour? Let me know via @pachecod or @JournovationSU on Twitter or fill out our contact form. 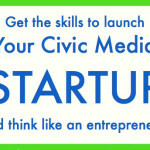 Looking to launch a News or Civic Media startup? This class can help. NEW 400/600: Creating the Next News Startup is starting its third semester, and a new class of civic-minded media entrepreneurs is preparing to go out into the world and make a difference by informing communities with unmet needs. The class still has a few open slots. If you’re a Syracuse University student — regardless of your major — look for NEW 400 (for undergrads) or NEW 600 (for grads) in MySlice. The course meets Mondays and Wednesdays from 3:45 – 5:05 p.m. in the Newhouse building. (Have questions? Contact Journalism Innovation Chair Dan Pacheco). While this course is run out of the S.I. Newhouse school, it’s open to juniors, seniors and grad students from all schools at Syracuse University. We’ll even admit sophomores who can demonstrate prior entrepreneurial experience. Have friends with design or coding skills? Encourage them to sign up and take the course along with you and use the course and build your dream team while getting mentored by Dan Pacheco, the Chair of Journalism and Innovation and an active media entrepreneur. WordPress, Drupal and other common CMS’s. Ad networks and data analytics. Using social media APIs to build a brand. 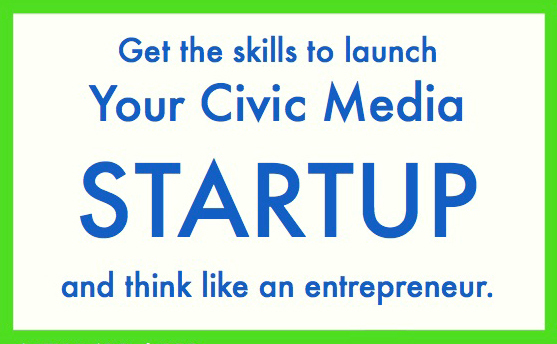 You’ll also meet real media entrepreneurs through guest lectures, both online and in person. The worlds of gaming and journalism are about to merge as the cost of creating 3D experiential environments plummets and a flood of new motion and gesture-based interfaces readies to enter the marketplace. 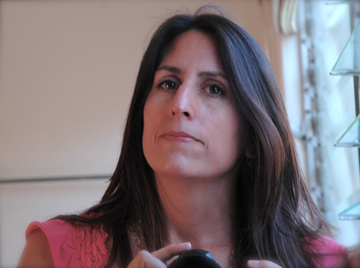 Journalist Nonny de la Peña is on the forefront of this trend, and will visit the Newhouse School on Monday, March 4, bringing stereoscopic “virtual reality goggles” that allow people to literally step into a 3D news story. 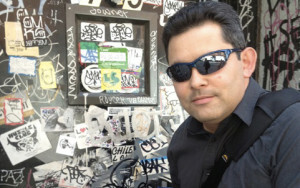 De la Peña will speak at 7 p.m. in the Joyce Hergenhan Auditorium in Newhouse 3. 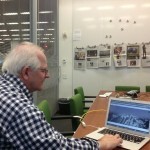 Follow on Twitter at hashtag #immersj. She will also provide interactive visual reality demonstrations that afternoon, beginning at 1 p.m., in Room 494, Newhouse 2. Personal tours can be reserved by signing up at http://bit.ly/1353xAf. Priority will be given to SU students. Space at De la Peña’s evening talk is limited, so please RSVP here. Attendance is free and open to the public. Here are some upcoming events at the S.I. Newhouse school that we think may be of interest to SU students and journovators. Open to SU students and faculty. Please join Natalie Gourvich, Business Development Manager for Squarespace, on Thursday, January 31st at 12:00pm in the I-3 Center (room 432/434) to learn about how you can use Squarespace to build a website for your research, creative and classroom projects. Squarespace is an easy-to-use website creation platform in business since 2005. 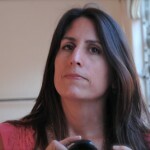 Faculty member Deb Pang Davis has been using it regularly since 2008 for client sites as well as her own. Squarespace recently launched Version 6 (V6) an intuitive, drag-n-drop experience for people who dread getting their hands “dirty” with code. The beauty of it (still in beta) is that for those of us who don’t mind some grease, Squarespace is exceptionally malleable. The icing on the cake? Squarespace is very secure, stable (no hackers!) and has 24/7 customer support. Open to SU students, faculty and the general public. ntbrite so that we can plan for space. Light snacks will be provided for those who RSVP and bring their Eventbrite tickets. Most journalists can only do so much on their own with technology. To create something that is truly unique and innovative, you need to work with a developer. Thankfully, more and more developers are choosing journalism as a profession. 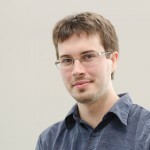 Dan Schultz is an MIT Media Lab grad and currently completing a Knight Mozilla Journalism fellowship at the Boston Globe. His recent projects include Truth Goggles, which compares news stories with PolitiFact articles in real time to determine if a statement is true or false; and ATTN-SPAN, which watches C-SPAN for you to create personalized episodes about what your representatives said in Congress. See his code in action and get tips for how to convince coders to apply their skills to journalism. Was Big Data the Difference? Journalist? Political junkie? Tech geek? 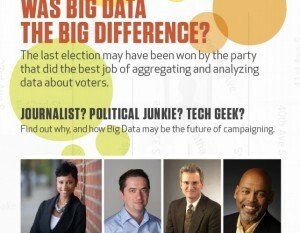 Find out why, and how Big Data may be the future of campaigning.The last election may have been won by the party that did the best job of aggregating and analyzing data about voters. Ashley Bryant: State digital director, Ohio, Obama for America. 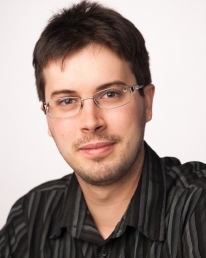 Paul Cristian Morarescu: Assistant professor, data science, the School of Information Studies. Grant Reeher: Professor, Political Science, The Maxwell School. Hub Brown: Associate Dean, Research, Creativity, International Initiatives and Diversity. Associate Professor, S.I. Newhouse School (moderator).